Phoenix Contact have developed their mobile apps to keep you up-to-date with their latest news and new products but they also want you be able to access your systems anytime, any place. 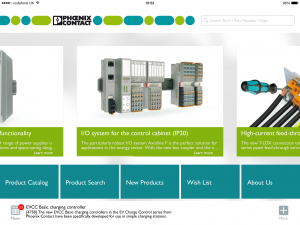 Using Phoenix Contact “Catalogue App” you can search their whole product catalogue, by catagory or using search keyboards. If you would like to create a wish list, there is also a facility to do this, allowing you easy access to your favourite products. You can even download datasheets or link directly to that product on their website. All Phoenix Contact latest news is also regulary refreshed to keep you up-to-date. Available on iPhone and iPad. Phoenix Contact “Safety App” is a useful tool to give you an overview on how far your machine/system complies with the requirements of the 2006/42/EC Machine Directive. There is a check list to help guide you through the essential points of the machine directive, you can also determine the performance level or ascertain the MTTFd value for a safety function. 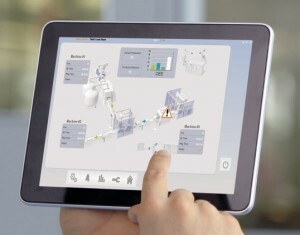 Phoenix Contact “Visu+ app” enables you to extend your system visualisation on to your smartphone or tablet, thus allowing you to access your system at any time and from any location. The Visu+ web server required for the app is already pre-installed in various devices from Phoenix Contact, such as touch panels. IPCs with Visu+ simply need to be extended with the web license option. 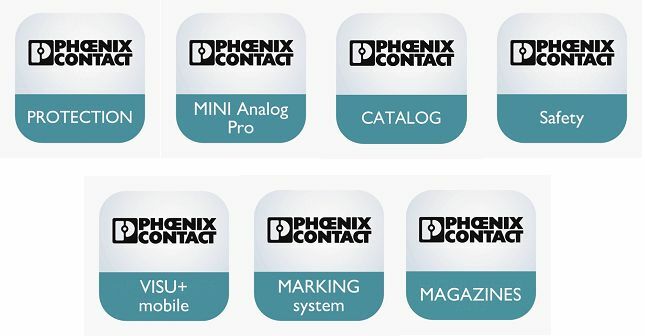 Phoenix Contact “Marking App” only available on Android devices. The app allows you to create your device or equipment marking on your tablet or smartphone. 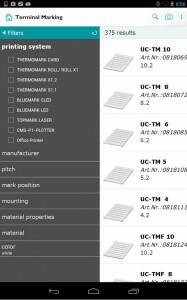 There is a product scanner to quickly identify the marking materials you require from the bar code on the product packaging. Once your project is complete, you can also send your print job directly to a Thermomark Line Printer using a bluetooth adaptor. For further information, get in touch!